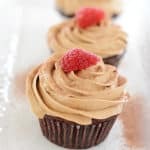 Moist and fluffy, rich in coffee flavor cupcakes filled with a luscious raspberry preserve and topped with a delicious coffee buttercream frosting. 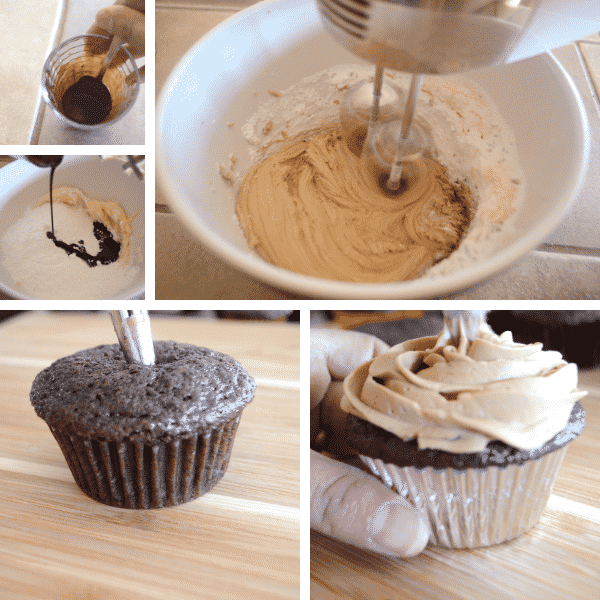 A coffee cupcake recipe from scratch that is a coffee addict dream. Cupcakes have this thing that makes them appealing more than cakes. Everyone loves cupcakes, kids, adults, and seniors. It is like having a cake only for yourself, pretty and very convenient, I think that’s probably why almost everyone likes them. 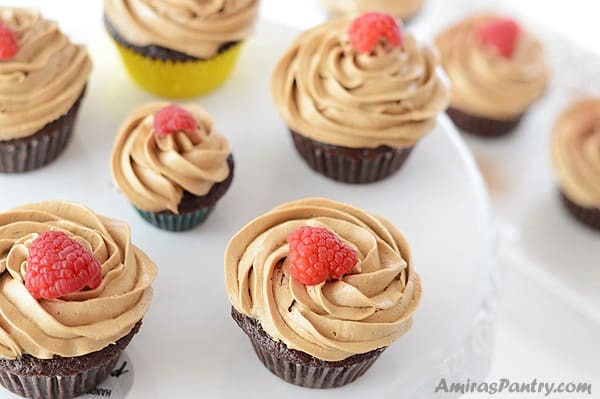 These coffee cupcakes are adults edible caffeine shots for any time of the day. This post has been updated from the original November 2016. Last updated February 2019. 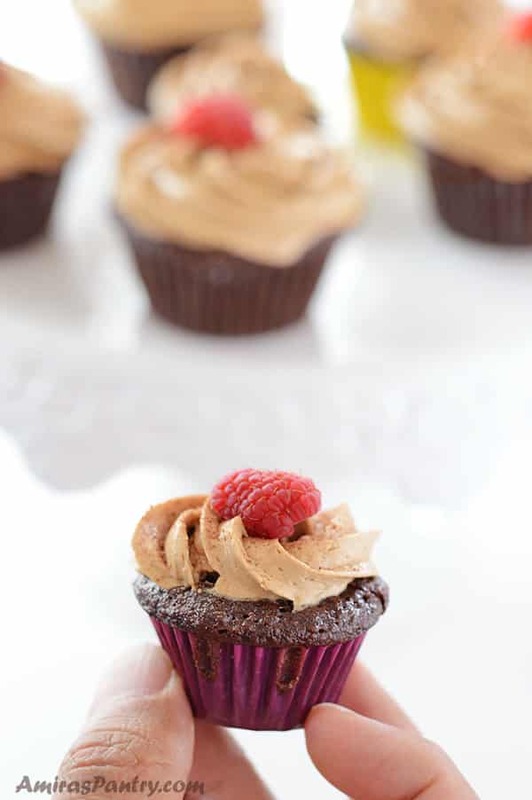 The softest, most tender coffee cupcake ever, filled to the brim with delicious raspberry goodness and finished off with creamy coffee buttercream frosting. Seriously guys, nothing is better than a good shot of caffeine and not just any caffeine. When you first bite into these cupcakes you’ll be hit by an ethereal, fluffy, and bitter sweet coffee rich buttercream frosting. 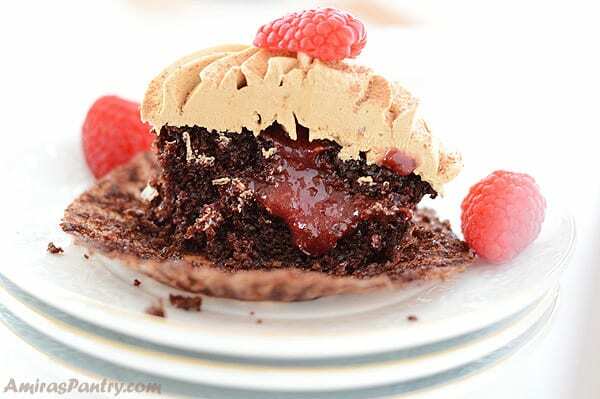 Then you’ll sense the super soft, ultra moist, melt in your mouth coffee cupcake finally it will ooze sweet raspberry in your mouth to roll your tongue around a sweet, bitter and tart combination. You’ll be in Coffee-ville and you are going to shed a tear of joy. Do you need to refrigerate cupcakes with buttercream frosting? Well it depends. This coffee buttercream I am making here only contains butter, sugar, cocoa powder, coffee and water. So none of these are perishable in the short term. 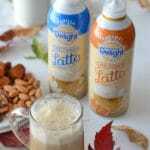 If you are using milk then it should be good at room temperature for a few days. For French, Italian or Swiss buttercream, you will need to refrigerate. How long can you keep cupcakes with buttercream? 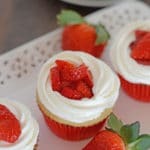 Cupcakes should stay for up to 2 days in room temperature, if they do not contains milk or eggs in the frosting or for example filled with custard. They also keep well in the refrigerator for 4-5 days. In this recipe I am making an all-butter frosting. 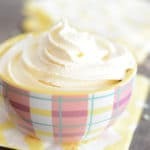 An all- butter recipe will make a noticeably softer buttercream and will also melt faster than a recipe made with shortening. But the melting point of butter is higher than the normal room temperature unless you are in a very hot and humid room. Gathen your ingredients and make sure everything is room temperature including the sour cream. In a deep bowl, add flour, sugar, cocoa powder, baking soda, salt and baking powder and mix well. Now add the wet ingredients oil and coffee then mix with a wooden spoon. Now add the eggs and mix well, then fold in the sour cream. Fill cupcake holes 2/3 full and bake in a 350F preheated oven. Mix all the frosting ingredients and beat well with a mixer until creamy and fluffy. For a little sweet surprise in the middle fill the cupcakes with raspberry preserve, store bought or home made whatever you like. Now pipe the frosting nicely on top of the cupcakes and decorate with fresh raspberries on top if desired. The following are affiliate links. We are a participant in the Amazon Services LLC Associates Program, an affiliate advertising program designed to provide a means for us to earn fees by linking to Amazon.com and affiliated sites. Thank you so much for being a part of Amira’sPantry! For this recipe I’ve used Aahu Barah basmati rice. It was recommended by a friend and I could easily find it here in the Middle Eastern store. I hope you’ll like this recipe and please if you make this recipe, snap a pic and hashtag it #amiraspantry — I love to see your creations on Instagram, Facebook, Twitter! Don’t want to miss a recipe? Sign up for the FREE Amira’s Pantry newsletter delivered to your inbox with lots of tips and surprises! And stay in touch with me on Facebook, Twitter, Pinterest, and Instagram for all the latest updates. For this recipe I have used instant coffee because a) I did not want to eat my precious Nespresso pods, I prefer brewing them and b) I’ve always had this feeling that instant coffee adds stronger flavor in baked goods than brewed ones. If you like the recipe do not forget to give it a 5 star rating, share, comment and tag me on IG so I know how you liked it. Thanks. 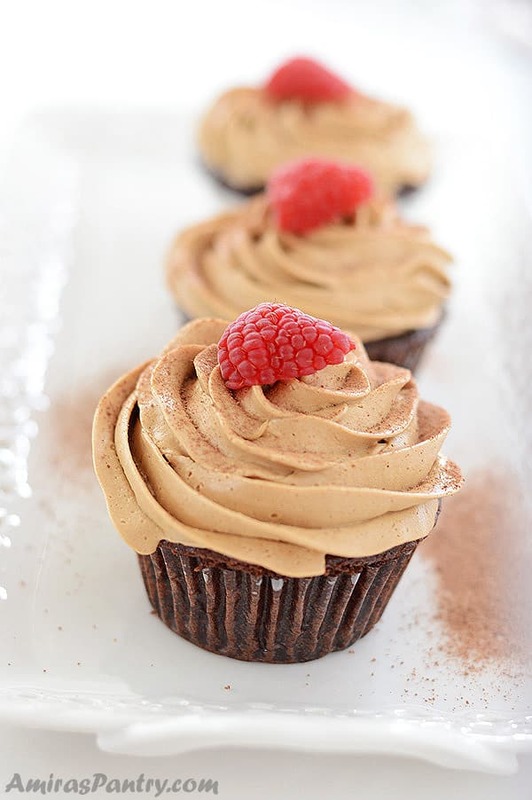 A super easy recipe for coffee cupcakes to please the adults in your home. 2 1/4 cups all-purpose flour. 3/4 cup unsweetened cocoa powder. 1 1/2 teaspoons baking soda. 1 cup strong brewed coffee cooled- I've used instant coffee. A dash of vanilla powder or 1 teaspoon vanilla extract. 1 to 1 1/2 cup of raspberry preserve. Optional : Fresh raspberries for decoration. In a bowl mix flour, cocoa powder, sugar, salt, baking powder and baking soda well together. Add the oils,eggs and your cup of coffee. Mix until everything is very well combined. Fold in the sour cream. Pour the batter into your muffin tin, fill 2/3 of each cup. Bake for 15-20 minutes until a toothpick inserted in the middle comes out clean or do the spring test. First we'll make a coffee mixture by mixing water, coffee and cocoa powder. Cream butter,sugar and coffee mixture well together. Fill the cupcakes with the raspberry filling , I've used Wilton tip #230. Pipe the frosting and decorate your cupcakes. *To get a stronger coffee flavor in your frosting you may use 6 Tablespoons of instant coffee and do not use cocoa powder at all, for a more chocolate-y flavor use 4 Tablespoons of cocoa powder and 2 Tablespoon of instant coffee. Hello! For the frosting, do I use the instant coffee granules from a packet or the liquid coffee? 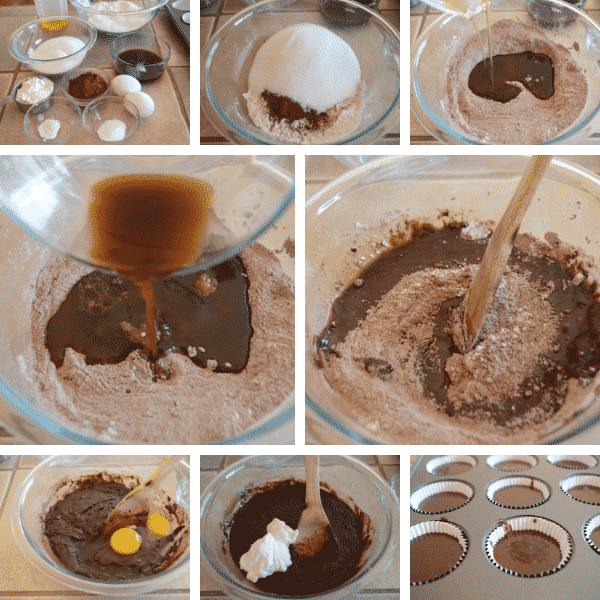 Clare, I used instant coffee granules and dissolved them in the 3-4 teaspoons water along with cocoa powder then added them to the reast of the buttercream ingredients. I hope this will help, let me know if you need anything else.